The Numismatic Museum of Jordan Ahli Bank was established in 1999, securing Dr. Nayef G. Goussous’ knowledge and expertise as its curator, and ensuring the continuity and preservation of the collection and its passing on to future generation. The bank museum is the first of its kind in the country, with collections numbering well over 40,000 coins. The ideals of the collector and the wisdom and generosity of a banking institution come together to produce an excellent educational legacy beneficial to society. The Jordan Ahli Bank Numismatic Museum is a specialised museum containing coin collections spanning nearly 2,500 years, the earliest dating back to 600 BC and the latest coming from recent commemorative issues. 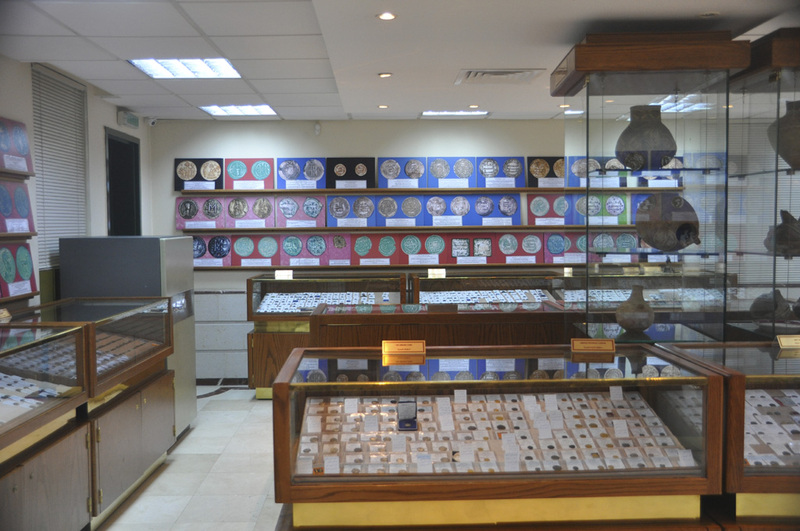 The museum boasts one of the best Umayyad copper coin collections in the world, published in Dr Goussous’ Rare and Inedited Copper Umayyad Coins (2004). 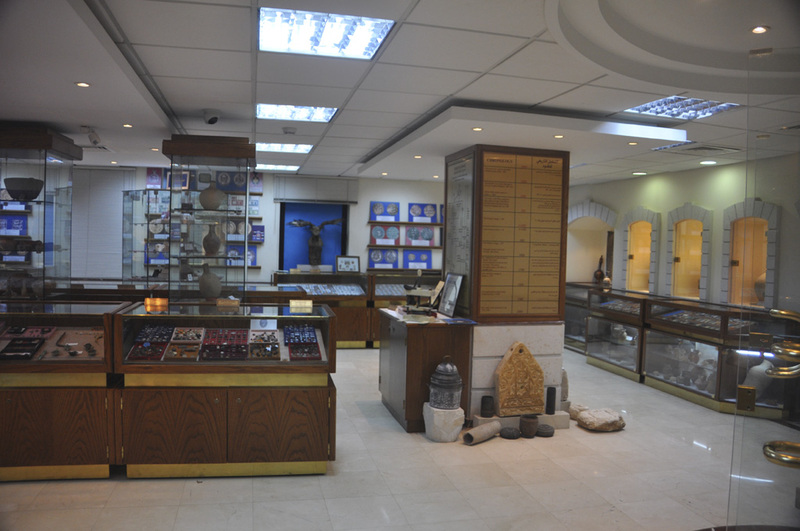 In addition, the museum has an outstanding collection of Mesopotamian, Phoenician, Roman, Byzantine and Islamic weights. Furthermore, the museum has extensive collections of Nabataean coins and from Decapolis and provincial Arabia, many of which are still unpublished. 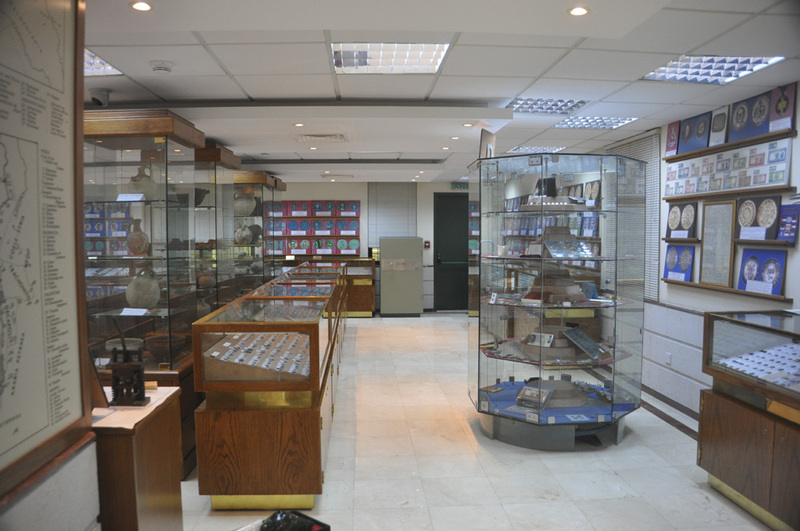 There are more than 4,500 coins and artefacts displayed in 25 cabinets. The museum is open to the public. The visitors can enjoy seeing the collections and learning about their history from the coins. The specialist certainly benefits from the coin collections and the library, with many graduate college students and numismatists regularly visiting the museum where they are welcomed and assisted. There is continuing academic work on unpublished coins numbering well over 1,200 coins. Two volumes of rare and unpublished coins, dated to Ancient, Classical and Nabataen periods as well as Islamic periods, from the museum collection are in press. Shmeisani – Queen Nour st.